One of the great things about free time while the boy is at work is playing his video games. He has a pretty solid collection of Ratchet & Clank games, and at his place was the first time I played one of their games; Into the Nexus. 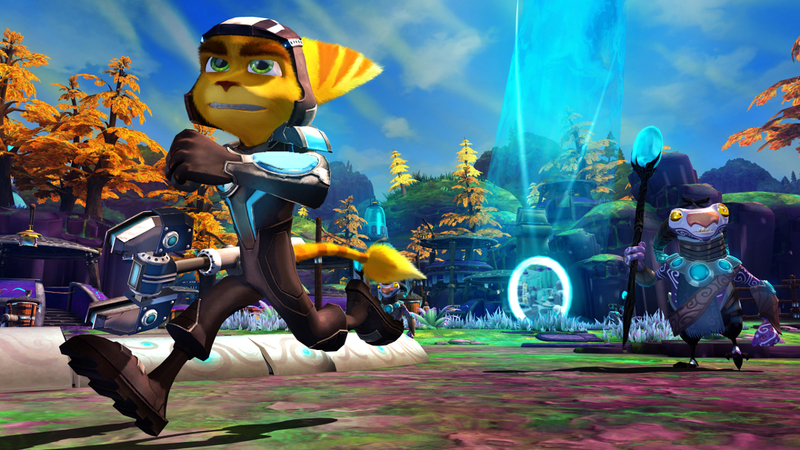 This time, I played Ratchet & Clank Future: A Crack in Time. This was another wonderfully crafted story, and I was excited to play through it. 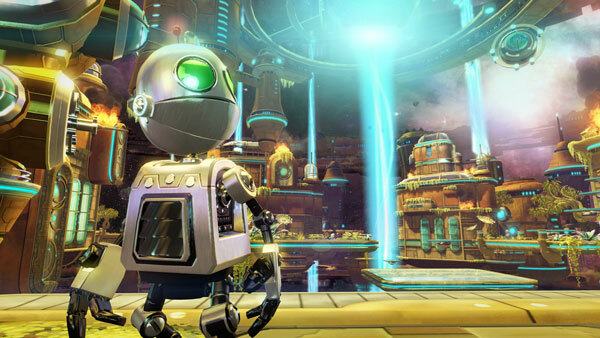 Crack in Time follows Ratchet and Clank separately, as Ratchet works to find Clank, and Clank learns about his destiny. After being capture by Doctor Nefarious, Clank finds that he is in a giant clock, in the center of the universe. As the game goes on, Clank learns more and more about how the clock was made by the same creature who made him. and Clank was to inherit and keep the clock safe. 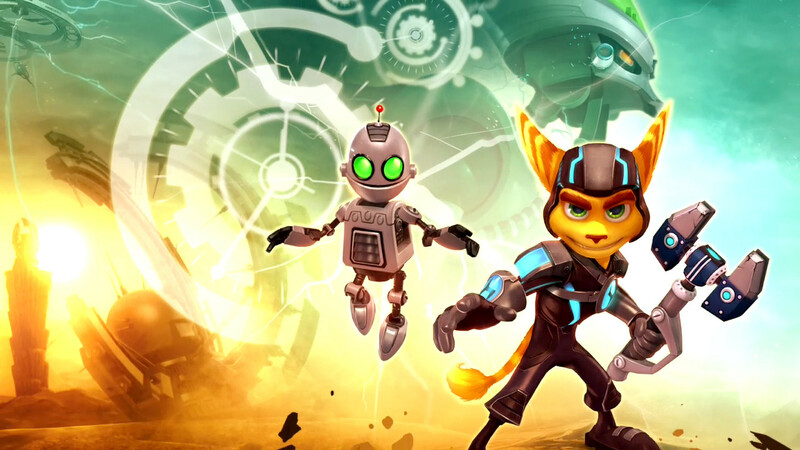 As he learns and works to repair damage that has been done by Nefarious (rips in time, the continuum collapsing, all that jazz), Ratchet is working to find Clank. Ratchet’s adventure is rather similar to the situation of Into the Nexus. He has to go through different things on different planets. But this time, sometimes he has to go back in time to right small wrongs done to the inhabitants by Doctor Nefarious. It’s a beautifully intricate game, and made me want to play more. One thing that definitely threw me for a loop, was the inclusion of another Lombax. Though I have not played the Ratchet and Clank games in order, I knew that Ratchet was the sole Lombax. But in this, there is a rebel Lombax who stayed while the others disappeared, and he shakes things up a bit. Since this game came before Into the Nexus, some of the controls were slightly different. In ItN, you can zoom around on boots that are a regular part of your costume. In this, you have to wait until almost the end to get the boots, and then you have to put them back on every time you wish to use them, instead of them being right there. It wasn’t a huge difference, it was just a bit different for me. Altogether, though, A Crack in Time was phenomenal. It took me about 8 hours, and it was a fun game. It has gorgeous art (the planets are all so beautiful), is a relatively simple game with some serious challenges (you mess with time a lot, and Clank has some tougher stuff than I expected), and it’s an overall enjoyable play. Gearing up for the Ratchet & Clank movie that comes out this April, playing the games is getting me more and more excited to see what they do with the movie (and the game that they’re releasing with it).